Does your Salesforce System have a name? You might be thinking, “What in the world?! Why would I name Salesforce?” First, I will admit, I like to name just about everything I can–my car is named Zed and my wireless network is named Newman–and the list goes on and on. Why do I like to name things? Why did I name my wireless network Newman? Did your mind change at all when you thought about a wireless network vs. Newman, the wireless network? Did taking an object like a wireless network and giving it a name add a little personality to it? If that network goes down, I could yell, “NEWMAN!” and have fond memories of a popular TV sitcom, as that was the reason for picking that particular name. Naming software and software releases is a fairly common practice now. Operating systems are no longer just numbers; they are Cheetah, Jaguar, Mountain Lion, Ice Cream Sandwich, and Jelly Bean. Incorporating names like these allows you to have an easier connection with the software and the user base. This can enable the releases to be memorable and it creates opportunities for interesting marketing visuals. Even though your instance of Salesforce is internal to your business, having a memorable name that allows your users to connect to it is worth exploring. By giving an object or item a name, you are opening up the ability for people to connect on a different level. You can refer to your system as Salesforce and your coworkers will know what you are talking about, but think about the desired outcome of having Salesforce in the first place. What do you want to get out of the system? Could the main benefit be to Double your Assets and Lending Effectiveness, otherwise known as Dale? There are a few famous Dales out there. You could even have a chipmunk as your internal Salesforce mascot. How do you think your user base would react? Would they have fun with this? Can you think of interesting promotions that you could use to help your user base connect with your system? When choosing a name for your instance of Salesforce, you should explore designing one that embeds your organization’s goals and objectives as inherent to the name. This allows for those goals to be in the forefront of the minds of your team every single time they are using Salesforce. This will also help frame conversations around your system features and expectations during implementation and long after by keeping the key company goals connected to the tool. Also, it can be fun! You could host an internal competition for the name of your Salesforce instance. This can be a great way to involve your users and engage in team building activities that can cultivate a collaborative culture, all while focusing on the success of your system. Your system is a team player! Your Salesforce system is a critical part of running your organization, and it is there to enable your success. It can be a natural step to take a tool that is so ingrained into your business processes and add in an element of personality to it. Make the system part of the team! By doing that, you can even take this a step further. Develop performance goals for Dale. Meet and review those goals frequently. If Dale is starting to go off-track, put together a performance improvement plan on how to get Dale back on the straight and narrow. Also, if Dale is rocking it and helping the team outperform, highlight that! All too often it is easy to forget what a system does for us when it has been running smoothly for a while. Continue to review and highlight those success moments. Once you are at this point, you are not far from taking the leap to having an internal product owner focused on the success of Dale. Internal product owners are true champions for getting the most out of their product, which in this case is to help you run your business on Salesforce. Product owners focus on how the product can assist in expanding your goals and move you in directions you had not even considered before. 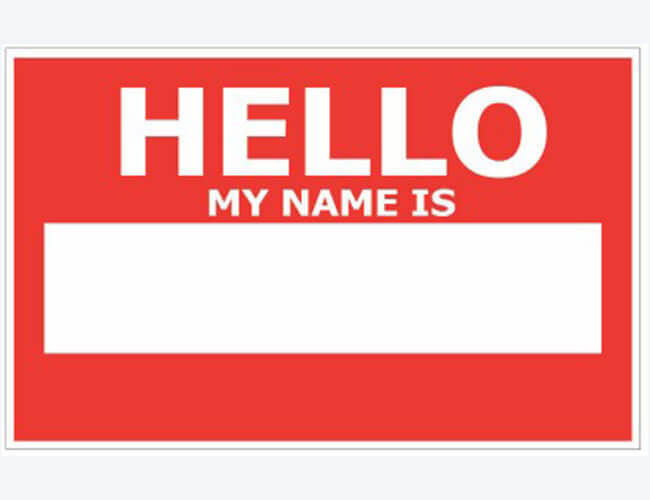 Adding a name is just one of many strategies for amplifying the adoption of your Salesforce system. Adoption can be enhanced exponentially through defined training and documentation focus for your users. Remember that you do not need to be the creator of all the training materials, and leverage the community of resources available. If you are in a situation where you are one of the only users embracing your instance of Salesforce and you need to focus on increasing user adoption, you may want to look at how your users are motivated as that differs from organization, to department, to person. What do you think? Do you want to take the first step and give your system a name and even a mascot? If you do, we would love to hear what you come up with so please share in the comments! Look out for my next post where I will share some tips on how to have a conversation with your data. Yes, I talk to my data! How to Increase Salesforce User Adoption?